The Pine Barrens are not so barren after all! 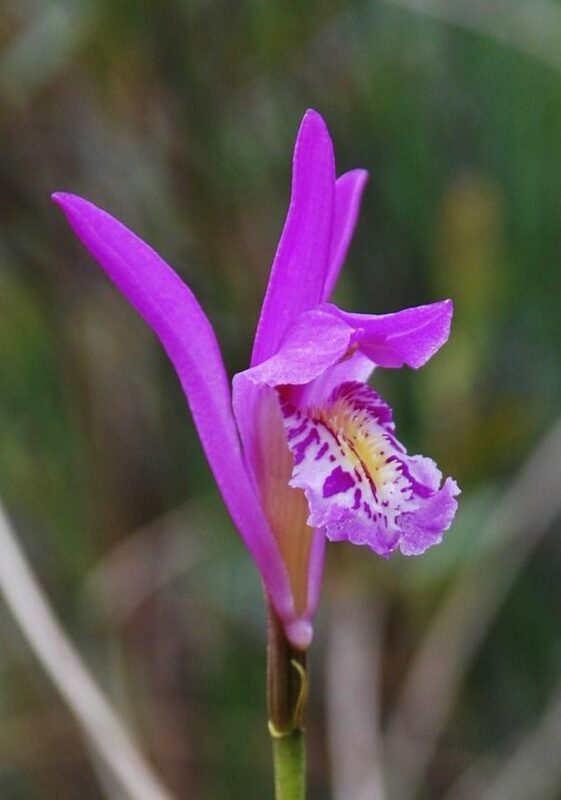 Orchid specialist Bob Sprague provides an extraordinary, up-close look at native orchids in their natural habitat. Explore unique sites in the New Jersey Pinelands National Reserve to see these gems as well as their botanical companions, including sphagnum moss, pitcher plants, cranberries, pitch pines, and other bog dwellers. Bring your lunch or purchase one at a unique roadside stand. Walking is minimal, but some wet terrain is likely. Class size is limited. Although van transportation is available from Mt. Cuba Center on a first-come, first-served basis, carpooling is encouraged. For more information on travel arrangements, email education@mtcubacenter.org or call 302.239.8807. For those preferring to meet at the site, driving instructions are provided upon registration. Rain date for this class is Saturday, August 3, 2019.